Amsterdam, Jodocus Hondius, 1609. 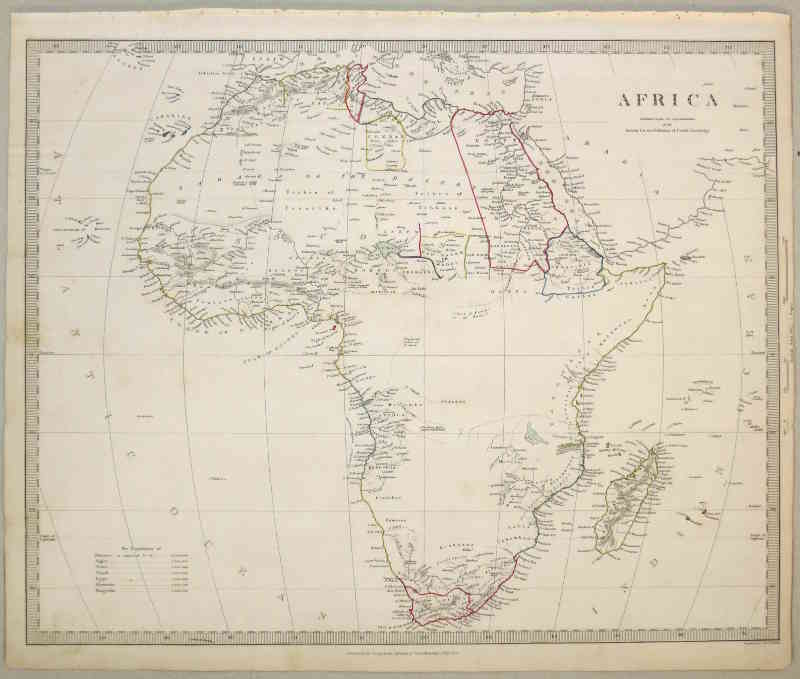 Prepared by Gerard Mercator Junior for the posthumous third volume of his grandfather's atlas, this example comes from the first French edition. The title is within a superb strapwork cartouche. London: SDUK, 1839. 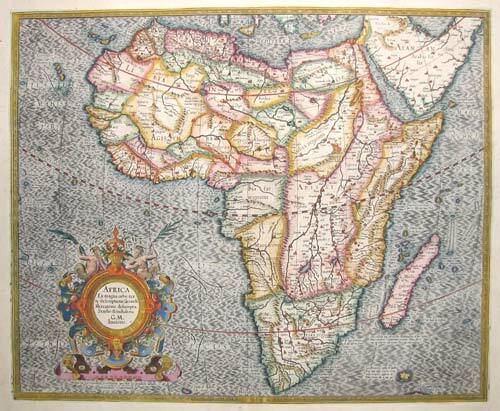 A more scientific map of Africa, with the unknown areas left blank instead of being filled with conjecture. However James Rennell's infamous 'Mountains of Kong' are marked.